Welcome to my first card month tutorial! 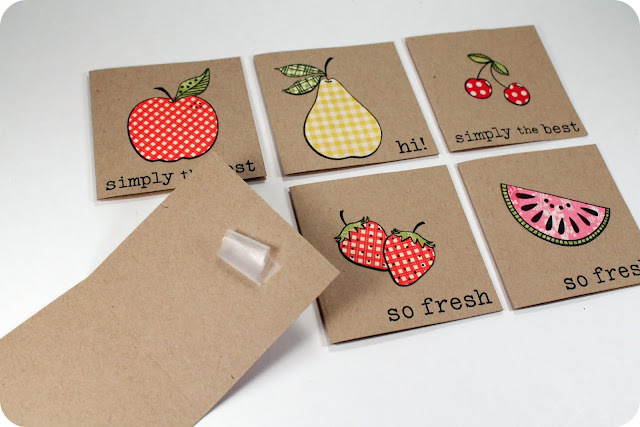 I figured I would start with something easy - stamped mini fruit cards. These are great for hello cards, to attach to a gift, or a just because card! I love the look of stamping an image onto patterned paper - it gives dimension and interest with only a little work. 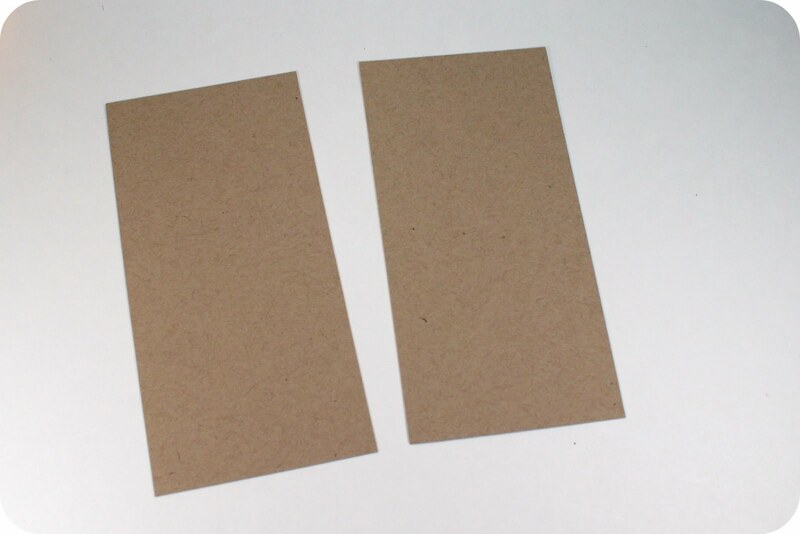 Start by cutting 6"x3" strips of kraft card stock. 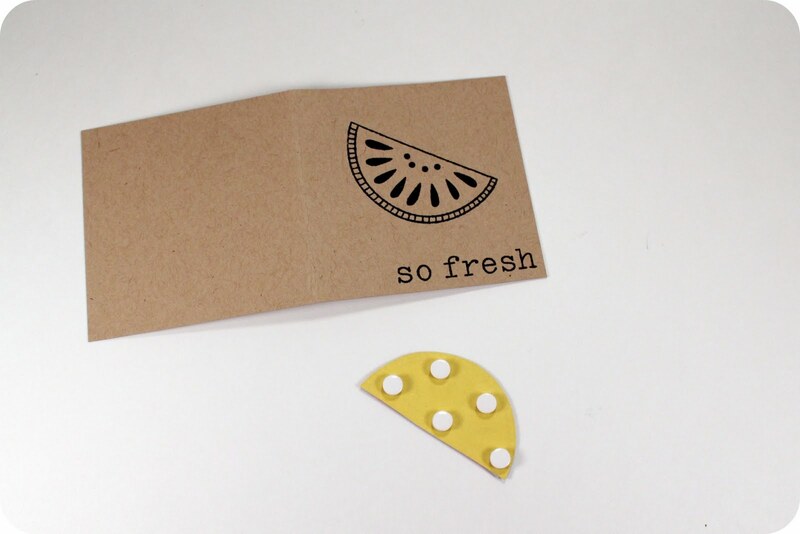 (Be on the lookout for more kraft card stock - I am in love!) Fold in half to make mini cards. 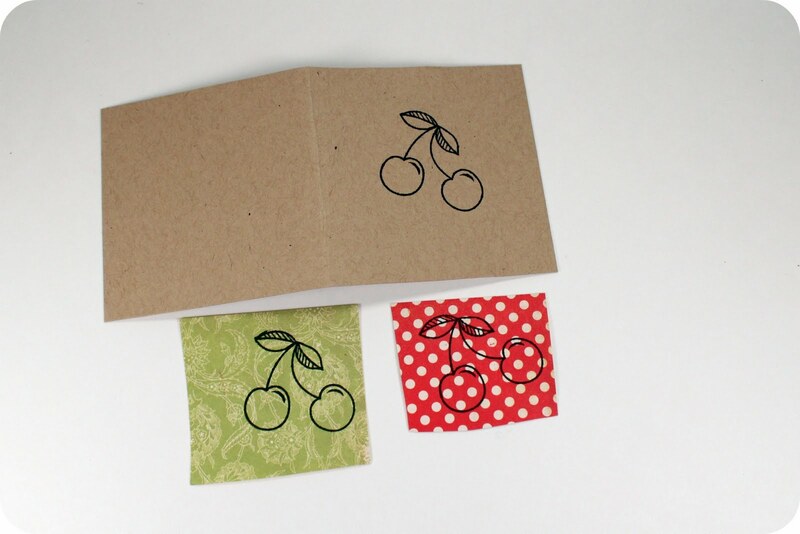 Stamp the same image on each of your accent colored papers and onto your card. Cut out the fruit pieces. 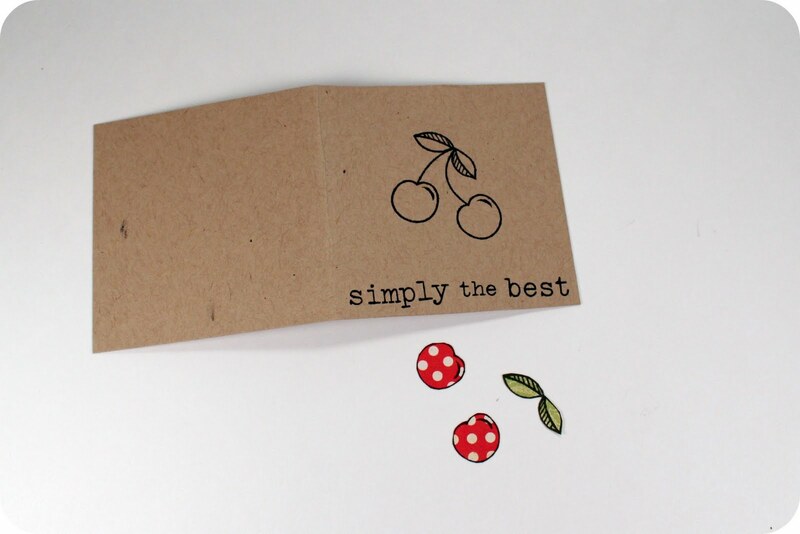 Glue your colored pieces to the card and stamp a sentiment onto the card. 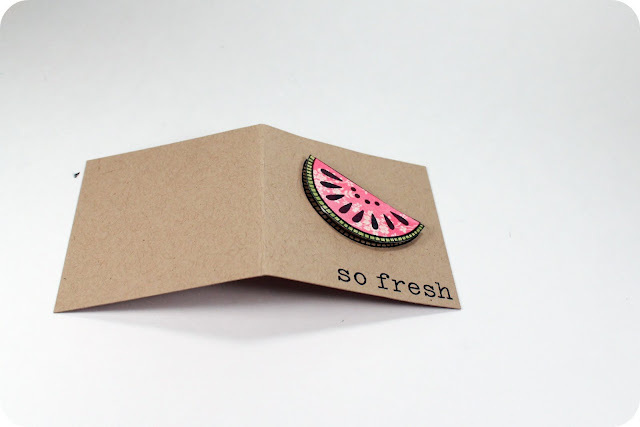 Follow the stamping directions above, but instead of gluing your cut out pieces directly onto the card, use foam dots to add height and more interest. See how it pops off the card just a bit? 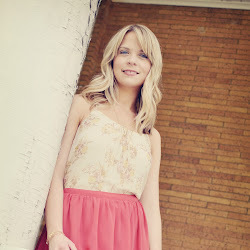 Pretty! I had a problem when photgraphing my cards staying closed and laying down on the table. To fix this, I took a bit of Scotch tape, rolled it on my hands so it was barely sticky, and used it to "tape" the cards closed. After I took pictures, the tape pulled right off. Hope you are inspired! Card link party coming this week - so get to crafting! Love these! 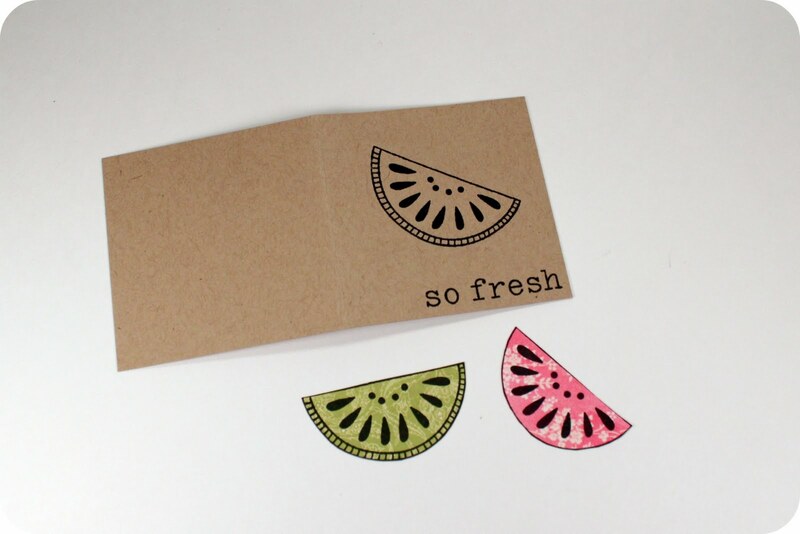 I just wish i had that stampset, the fruit is so cute! These cards are so cute. Now I am going to have to raid my stamp stash and see what I can come up with. Thanks for the inspiration! 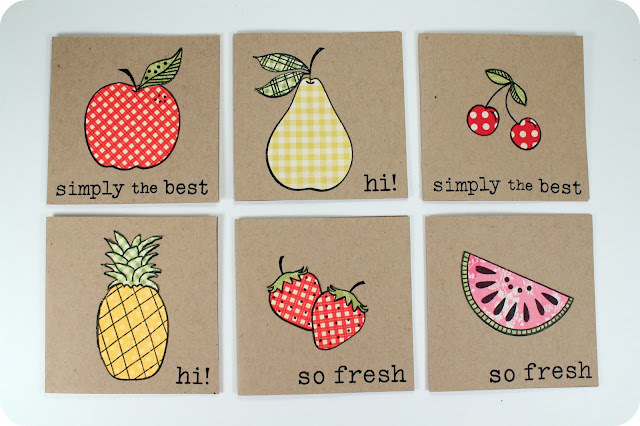 Adorable little cards! I grabbed your card month button and put it on my blog! This is such a great idea!!! I'm new to card making (and stamping) and I never would have thought to stamp on patterned paper. It's ingeneous how you stamped the card, too, so you can line up your pieces and the outlines would still look sharp. Brilliant! I'll grab your button when I get the chance. I should have included a link to my latest finished set of cards -- they're made almost entirely from scraps, some I collected, and leave spaces for baby's photos! Very cute! I don't usually make cards, but I could easily use this technique on scrapbook layouts. Thanks for the tip!! Linda - this would be great for a scrapbook layout - good idea! Wow! 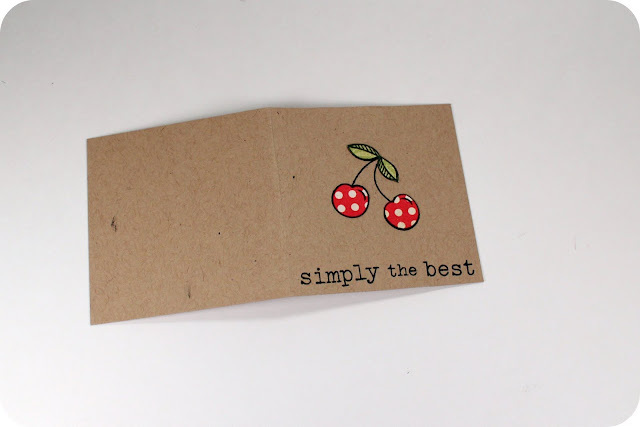 I sure got excited when I saw a stamping project on your blog! Thank you for the tutorial. I can't wait to make some of those samples myself. 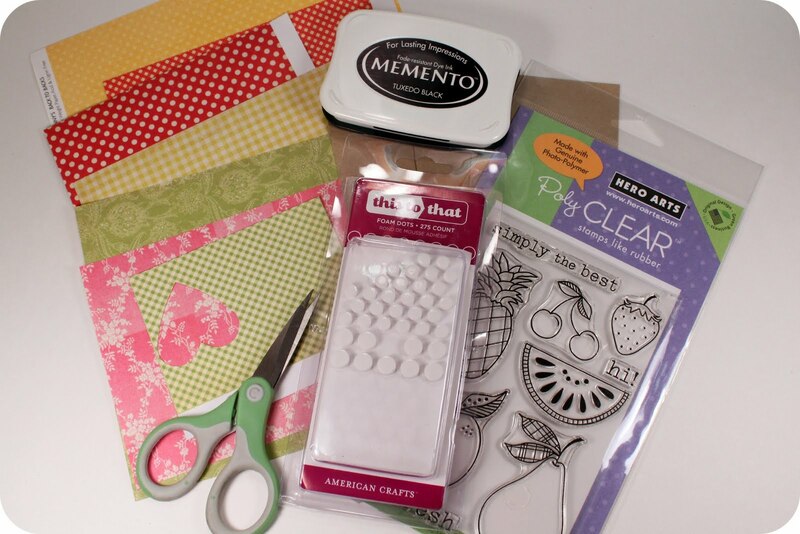 Keep those stamping tutorials coming for those who love to stamp, stamp, stamp! so cute and inspiring!!!! absolutely going to try it RIGHT NOW!